If you’ve been considering a smart meter, you may have been put off by the recent reports that they’ll actually save you around 60% less over the course of a year than originally estimated. Don’t let the headlines put you off though - installing a smart meter will still help to cut your annual energy bills, and here’s why it’s about more than simply saving money. Smart meters have been getting a bit of a bad press lately, as the predicted savings smart meters will generate for consumers have been labelled as inflated, out-of-date, and based upon some questionable assumptions. Original estimates from the Department for Business, Energy and Industrial Strategy (BEIS) forecast that smart meter installation would knock £26 off the average household energy bill, but alternative estimates now put that figure at just £11 a year. To make matters worse, the smart meter rollout is behind schedule – it's unlikely the original completion deadline of 2020 will now be missed, and Citizens Advice said it would be "more realistic" to aim for 2023, otherwise time pressures could lead to poor quality installations. To make matters worse, it also looks like the whole scheme will go over budget. The deficiencies in the smart meter roll out program have been highlighted in a new report from the British Infrastructure Group (BIG), a group of MPs and lords who work to promote better infrastructure across the UK. Obsolete smart meters are still being rolled out - Suppliers are still only rolling out obsolete 1st generation smart meters, well past the initial deadline of November 2016. And it looks like these old meters will continue to be offered until October 2018, and installation will continue into January 2019. More than half of all smart meters ‘go dumb’ after switching – Half of the one million smart meter users who regularly switch energy supplier have seen their units lose their smart functionality, including displaying real time data and automatically sending readings to suppliers. This is because not all suppliers are up to speed with the new technology, and a problem that potentially won’t be ironed out until the roll out is completed nationally. One-in-ten ‘go dumb’ due to poor mobile network connectivity – Smart meters use existing mobile network connections to send real-time data to display units and meter readings to suppliers. If you live in an area that has poor connectivity, or you just struggle to get a mobile signal in your house, your smart meter might not work as you’d hoped. Suppliers could pass costs and fines on to customers – The cost of the smart meter roll out is already being added to our household energy bills, but the project has been hampered by delays and cost increases, with installation costs alone found to be £1 billion higher than anticipated. Furthermore, if suppliers fail to hit their roll-out targets, they face fines of up to 10% of their annual turnover, with no rules in place to stop them passing the cost of these fines on to customers. 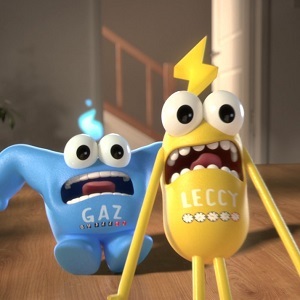 Some reports even suggest suppliers, obviously desperate to hit their targets, are using 'scare tactics' to convince customers to accept a smart meter, including stating bills will otherwise go up, smart meters are compulsory, and even telling customers their current meter is unsafe. If you’re supplier tries to force a smart meter on you like this, make an official complaint, first to your supplier’s complaints team, and then to the energy ombudsman. Why bother getting a smart meter? The main selling point of a smart meter seems to be that it can help to cut your energy bills, and the fact that the estimated saving of £26 a year has more than halved to just £11.40 is being used by some as an excuse to criticise the roll out. But the fact is, the savings figures quoted are pretty negligible, whether £26 a year or £11 a year, particularly when you consider that simply switching supplier could knock as much as £428 off your annual energy bills. The real benefit of smart meters is that they’ll help make us all more energy-conscious and, in turn, more energy efficient, which is good for both our pocket and planet. As smart meters offer real-time data of how much power each appliance is using, this helps identify areas where you need to cut your usage to save energy – using less energy will not just help lower your energy bills, it will help reduce your carbon footprint. In turn, this helps cut greenhouse emissions from electricity plants, and helps maximise the use of existing power plants and lessen the need for new plants to be built. You could also find your bills are cut further by the fact that smart meter billing is accurate and not estimated, and you’ll no longer need to supply meter readings as this is done automatically. Although the smart meter roll out has been hit by some unforeseen problems, it’s rolling on regardless – if nothing else, consider getting a smart meter as a way of helping do your bit for the environment. Would you have a smart meter installed? We took to Twitter to find out if our energy-savvy community would want a smart meter installing, and the results show that most aren't keen on the new technology. Given the news that smart meters might only save you £11 a year on your #energy bills - not £26 as originally thought - do you want a #smartmeter fitted at your home? Have you had a smart meter installed? Let us know how you’ve found using your smart meter by getting in touch on Twitter or Facebook.